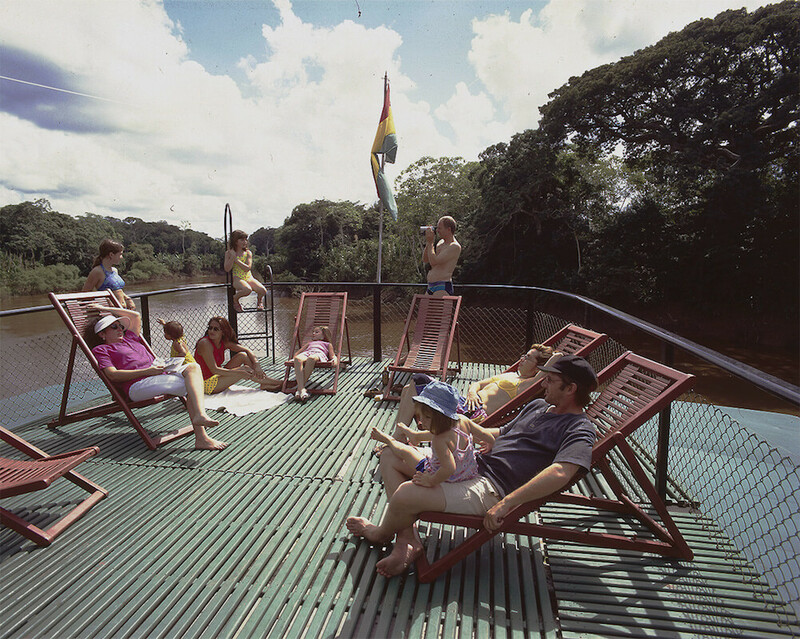 Enjoy the Bolivian Amazon and it’s amazing flora and fauna on board Flotel Reina de Enin, a comfortable catamaran navigating the Mamore river. Imagine waking up to the sound of parrots and monkeys. 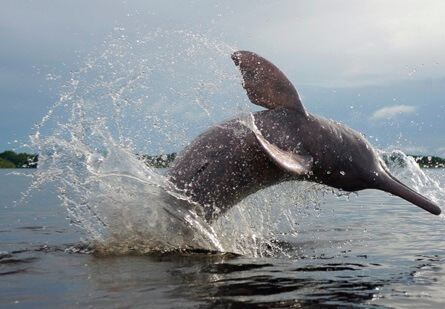 Look out of the window and see early morning pink river dolphins. Hundreds of animals and plants await you in the forest. Imagine a cultural experience: Native peoples. Their traditions and way of life. Their compromise with nature. The magic of millenial civilizations. Imagine you are in a hammock on the terrace, cold drink in hand. A flock of royal storks crosses the blue sky. The air is hot. 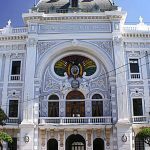 This is real life !… Welcome to the Reina de Enin! DAY 1: Arrival and rendezvous at Trinidad airport. Overland transfer to Puerto Varador ( 16 km west of Trinidad). 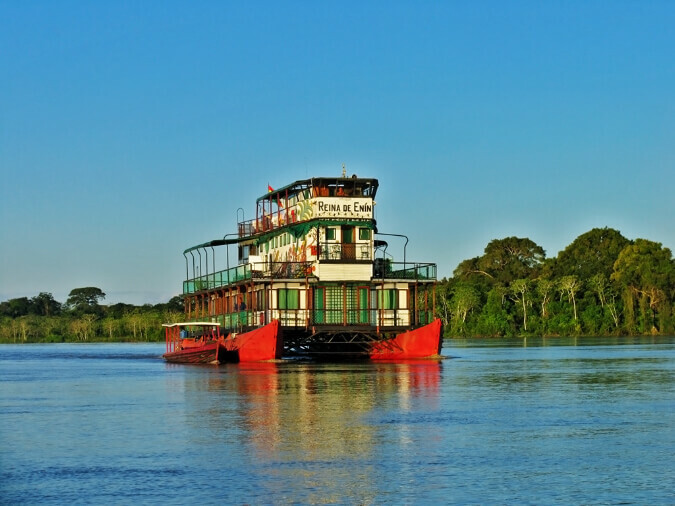 We embark on the Reina de Enin and sart navigating downriver on the Mamore river – the largest Amazon tributary in Bolivia . As we start traveling north, you will be in one of the truly most remote areas left in our world. Wildlife sightings increase, primary forest remains, and the native people still harbor a curiosity about us. You may sense that you traveled back in time. Overnight on board. DAY 2: From the terraces of the Reina de Enin and as we navigate this morning we enjoy the varied landscape of rivers and rainforest, and its wide array of sounds and wildlife – caimans, river dolphins, capybaras, monkeys, toucans, turtles, as well as dozen of bird species. 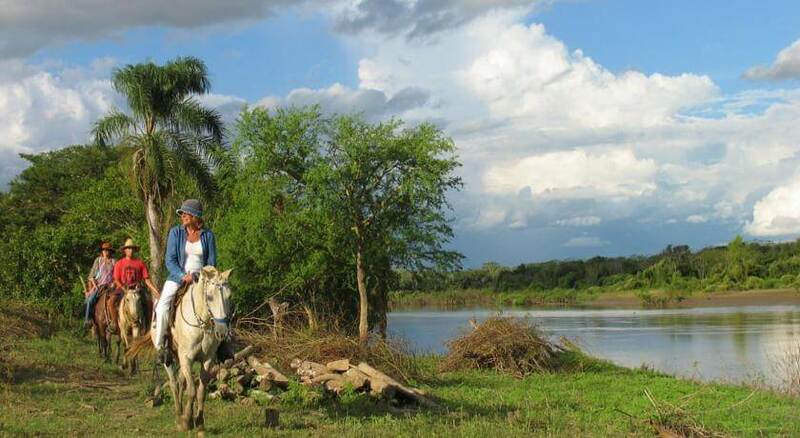 We then arrive in the vicinities of Estancia El Carmen, a small cattle ranch bordering with the pampa grasslands. Meet with the local cowboys of the savanna or pampa mjojeña. This afternoon we will reach San Renato. This is an indigenous settlement of only six Yurakare families. We will have time to meet with the inhabitants for cross-cultural exchange before the sun goes down and we return to the Reina de Enin for dinner. Overnight on board. DAY 3: Today we will reach the areas known as ¨Morenita¨. There we will leave our motorboat and embark on dugout canoes. As we row silently into a group of lagoons and streams we observe the vast amount of wildlife around us. This afternoon we will carry on with our exploration of another five lagoons and streams in the Mocovi area. Back to the main river in the late afternoon time may allow for a refreshing bath in the company of the river dolphins. 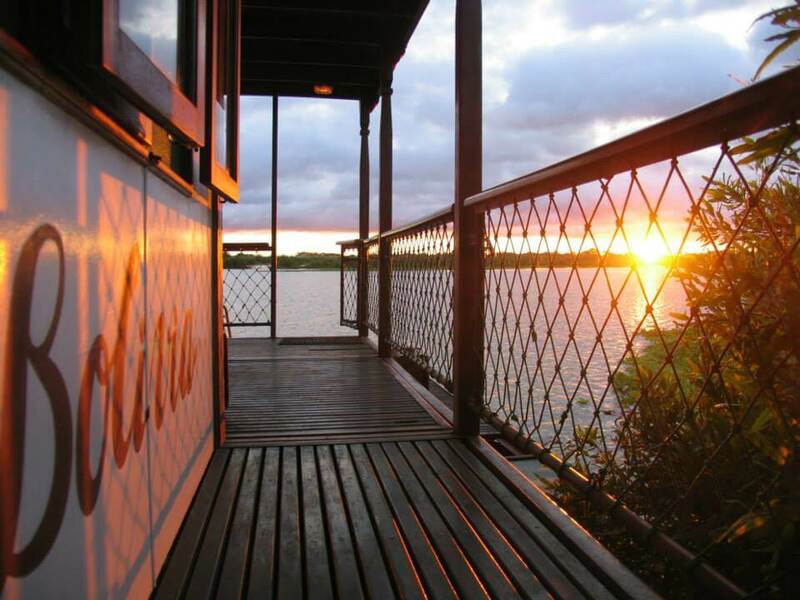 After dinner we will take a night excursion to look for caimans and learn about their hunting habits. DAY 4: Today we will reach Villa El Carmen, an indigenous community of Mojeño inhabitants who live on the shores of the Mamore river. 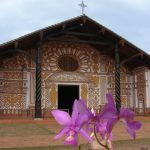 There we will learn about the Mojeño culture, their crafts, and the development projects they have implemented on the basis of sustainable tourism. From Villa El Carmen a long hike into the rainforest will enable us to know about the various palm species used in the making of native handicrafts and tools. We may also see groups of howler – and squirrel monkeys on the way. Back to the Reina de Enin we will navigate until we reach the confluence of the Mamore and the Ibare rivers. This is where we will anchor for the night. After dinner we will watch a slide show on the amazing hydraulic achievements of the ancient Mojeño civilization, twenty centuries before our time. DAY 5: We will wake up very early today in order to reach Chuchini protected area on time to observe the rise of hundreds of parrots and macaws. We will then visit the small museum where millennial archaeological remains and artifacts from past civilizations of the area are displayed. 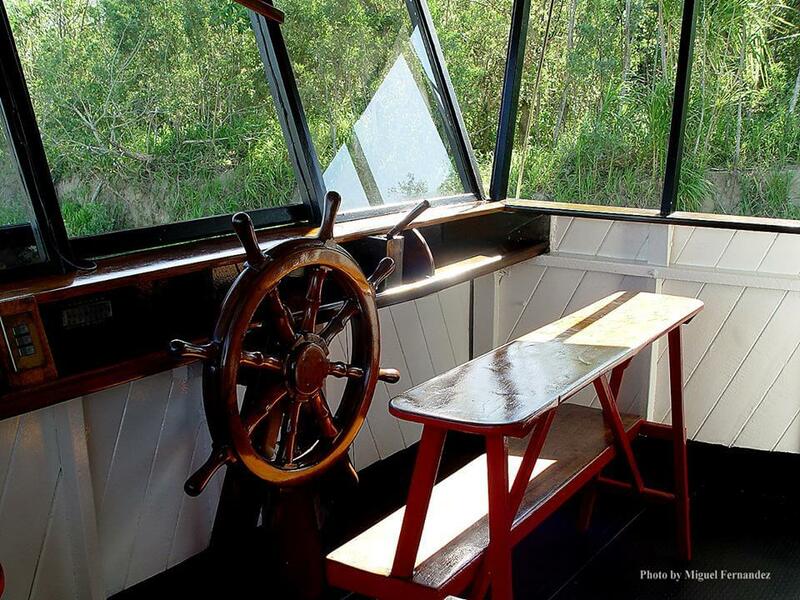 Navigation back towards Trinidad , with many chances to see wildlife on the way – caimans, river dolphins, capybaras, monkeys, toucans, turtles, as well as dozen bird species. 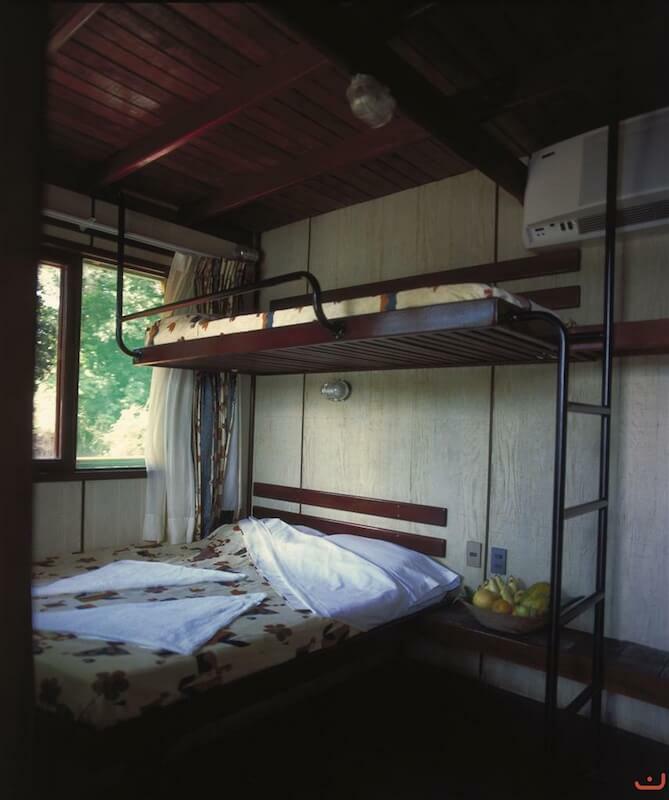 Upon arrival at Puerto Loma Suarez we will transfer to a hotel in Trinidad , or to the bus station or the airport as you choose, for a bus or plane connection. DAY 1: (L, D) Meet and assist at Trinidad airport. Transfer to port “Los Puentes” (16 Km to the west) where we will embark on the Flotel Reina de Enin, and start navigating along the Mamoré River – the largest river within Bolivian territory. Our first day will bring us many opportunities to spot wildlife. Arrival at the Yuracare community of “San Renato”, meet with the villagers for cultural exchange. In the late afternoon our guide will invite us for a refreshing swim in the Mamoré river. As the sun goes down we will then return to the Reina de Enín for dinner. Overnight on board. DAY 2: (B, L, D) Wake up at the sound of the rainforest. 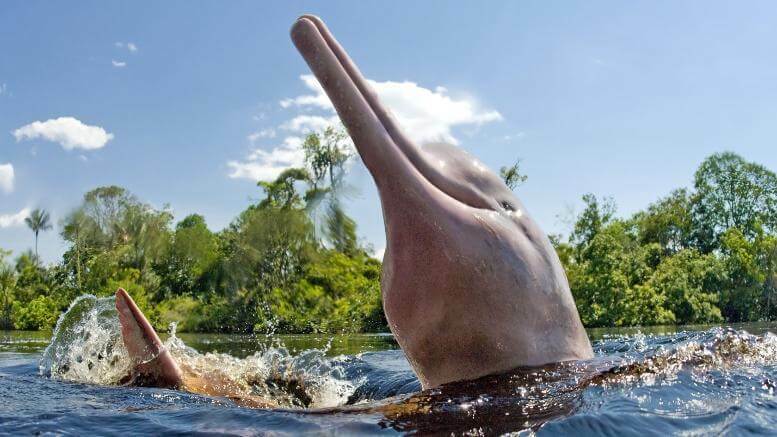 We may take a pre-breakfast swim with the friendly ¨bufeos¨ or pink river dolphins. Carry on with the navigation until we reach estancia “El Carmen” (cattle ranch). 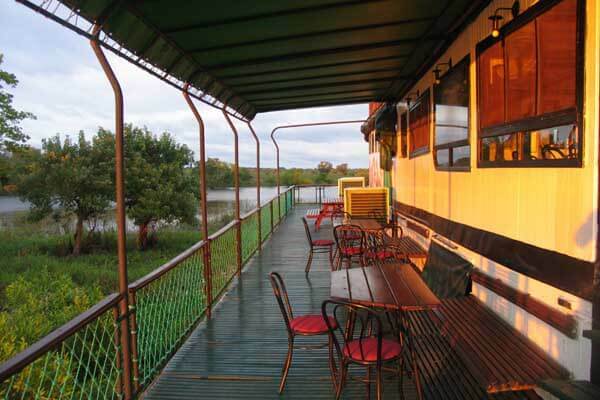 From there we will take a horseback riding excursion through the forest and along the savanna. On our way back we will visit the facilities of the ranch and take a look at how cows and horses are handled. In the afternoon we will explore the group of lagoons at Victoria. This is a perfect opportunity to have a close look at the pink fresh water dolphins or bufeos. Once we reach the lagoons a low-noise outboard motorboat will take us into small tributaries surrounded by periodically inundated gallery forests. In the afternoon, as we return to the Reina de Enín and carry on with our navigation we may spot a number of animals on the riverbanks. DAY 3: (B, L, D) Today This morning we will carry on with our navigation until we reach the beginning of the trail to Soledad on the riverbank, for a 3-hour walk including visits to giant trees such as Ceiba trees, Hura trees, and strangler figs such as the Bibosi trees. On our way we will pass along a cocoa plantation and will also cross a lagoon with Victoria Regia waterlilies. Back to the Flotel we will navigate towards the “Boca” where the Ibare and Mamoré rivers meet. Later at night, after dinner, we will embark on a small aluminium motorboat for a night photo safari to look for caimans and learn about their hunting habits. We might be able to spot the legendary black cayman. DAY 4: (B, L, D) Today we will reach Villa El Carmen, an indigenous community of Mojeño inhabitants who live on the shores of the Mamore river. There we will meet with the local settlers in an attempt to know about their customs, their crafts and the development projects they have implemented on the basis of sustainable tourism. A rainforest walk will then take us to the many palmtree species from which the locals take the raw material for their handicraft. Groups of howler- and squirrel monkeys can be spotted during the fruit-growing season. In the afternoon we will look for animals on the riverbanks and footprints on the beach. DAY 5: (B, L, D) We will leave this area and head towards “La Morenita”, where we will enjoy paddling on our dugout canoes as locals do. This is the way we will enter two lagoons to look for the voracious piranhas. In the afternoon we will stop at a beautiful, white sandy beach for a sunbath and a swim with the pink river dolphins or bufeos. At night we will be introduced to the archaeological findings related to the amazing hydraulic culture of the Moxos people. DAY 6: (B, L, D) Early this morning we will take a motorboat along the Ibare river to visit to Chuchini area – a sanctuary for local birds as well a private protected area – where we will witness the wakening of hundreds of macaws and parrots. Afterwards we will visit the small, local archaeological museum. In the afternoon if you are interested we will go fishing with the “experts” – the crew of the Reina will take us to some of their favorite places and we will probably catch fresh fish for tonight’s dinner. DAY 7: (B) Today we will look for some lonely beach along the river for a refreshing bath and say farewell to the “bufeos” dolphins. Alternatively those who prefer may go for big fishing such as general, pacú y surubí catfish. Then back on our smaller boats along the black waters of the Ibare river towards the port of Loma Suarez. 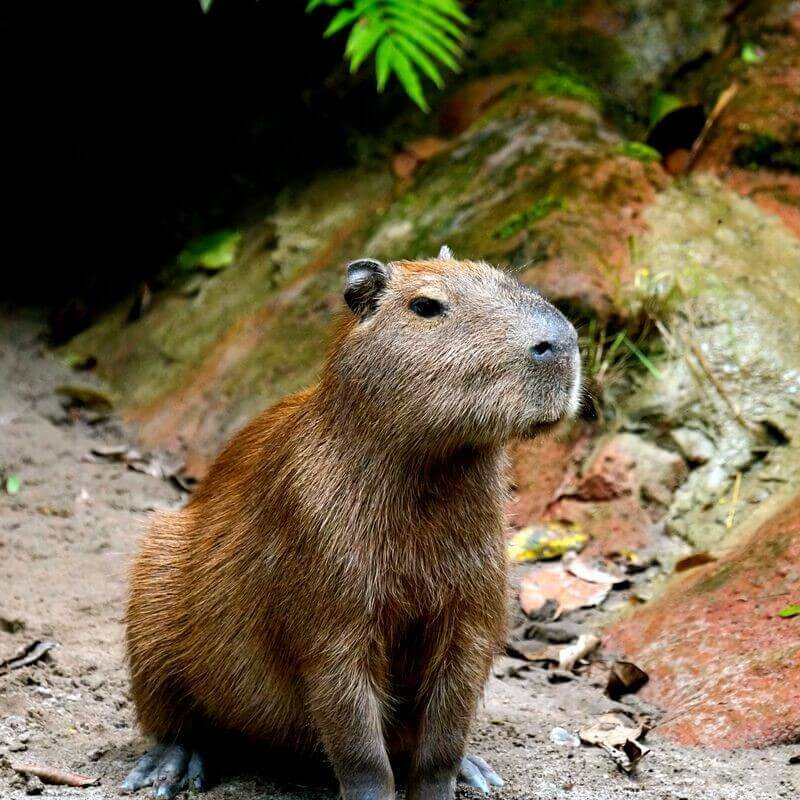 There are many wildlife spotting opportunities on our way, including caymans, river dolphins, capybaras, monkeys, turtles, and lots of diferent bird species. From Loma Suarez you will be transfered to the airport to take your flight.